Bellmore, New York, USA. 11th August 2017. 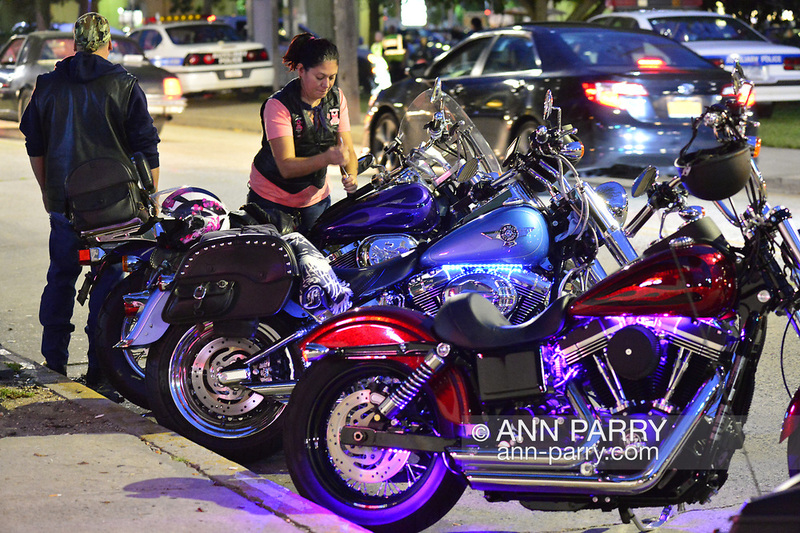 Motorcyclist locks up her parked Harley Davidson motorcycle parked with other motorcycles across the street from Bellmore Friday Night Car Show, in parking lot of LIRR Bellmore station.